The Anniversary Balloon Ride in Arizona is a sure way to flame the spark of love that has grown over the years for your anniversary. Arizona Hot Air Balloons has had many repeat customers over the years. 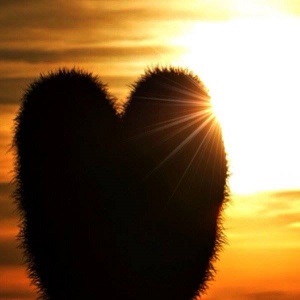 Our valued customers know what kind of touch that we put on our balloon rides in AZ. Book your anniversary balloon ride in AZ with us! We will go the extra mile to make this anniversary balloon ride with us the memory of a lifetime. Its your special day! You tell your significant other to go get ready for this celebrated day. Your loved one goes and gets into the shower. After they get out they clean up. He shaves, combs his hair. She does her hair and make up. Not a single hair out of place. You spouse gets all dressed up in they most stunning dress attire. Smelling amazing, they are ready to go. The two of you go and jump into the vehicle and off to dinner. Are you going to drive around the corner to fast food? Of course not! You are going to take them to the most romantic anniversary dinner. You will hind his or hers favorite meal under candle light! The same thought and love should be put into your anniversary hot air balloon reservation. While Arizona Hot Air Balloons prices are not the cheapest, we are not the most expensive. We provide professional second to none service for an affordable price. You will depart us with a memory that you and your loved one with forever remember! The excitement builds as you make your way with your loved one to our meeting site. They give you the puzzled look as they don’t understand why you are pulling into Deer Valley Airport. You jump out of your car and you are warmly welcomed and you are asked to sign in. Your loved one realizes that you have booked them a balloon ride in Arizona with Arizona Hot Air Balloons! As mother nature warms your backs! Your loved one realizes that you wanted to make your Anniversary one of the most memorable. Your Hot Air Balloon pilot comes over to welcome you and give you the safety briefing. In a few minutes you are asked to board on your hot air balloon ride. What an amazing way to share your anniversary! There is not a better place to spend your anniversary. You are with mother nature and you are in a hot air balloon! Your loved one will forever remember this anniversary balloon ride. Your idea was so unique and original. You will come back with some amazing hot air balloon photos! Call our friendly staff 1-480-282-8686 and we will be happy to add that extra touch for your very special day with Arizona Hot Air Balloons. 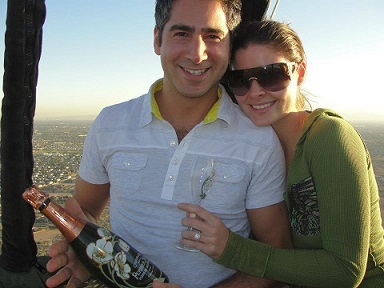 You can also fill out our small balloon ride inquiry form to initiate your balloon ride over AZ.